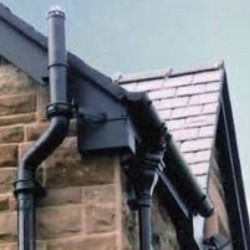 Perfect for structures with steep or large roofs, our Cast Iron Half Round Deepflow Gutter has a high flow rate and lowers the necessity for the quantity of downpipes that would normally be compulsory with a standard half round system. 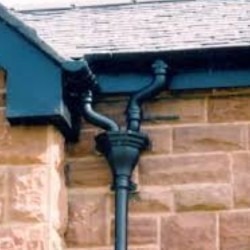 There is a choice of two different sizes, 100mm x 75m or 125mm x 75mm. 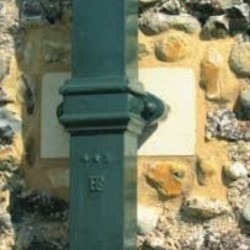 These sizes are both offered in a black painted or a primed finish.